Editor’s Note: This article has been updated on 6/6/2018. WeChat Pay is now available in Malaysia, and we are one of the first markets outside of China with the wallet localised to our currency. WeChat will be able to capitalise on the existing 20 million users in Malaysia. They also have an existing partnership with Hong Leong Bank to enable WeChat Pay merchants. Rumour has it that WeChat Pay will be launching in Malaysia sometime in June, preferably before Raya Aidilfitri hits. And the launch will be happening just in time too, as PM Mahathir has expressed interest in turning the country cashless. While it’s seemingly just another e-wallet to join the multitudes of other e-wallets that have appeared in the Malaysian market recently, one key difference is the role WeChat played in changing the payment infrastructure of the whole of China. Tencent’s brainchild was able to win the e-wallet battle in China, and the e-wallet movement in China is so thoroughly entrenched that you can feasibly live an entire month in China without ever touching cash—even when buying hawker foods or shopping in wet markets. Could WeChat Pay be the final missing link that truly brings the e-wallet era to Malaysia? Here are a few things to know about WeChat’s launch into Malaysia. 1. Malaysia will be the first country outside of China to receive WeChat Pay. WeChat Pay is technically available for everyone across the globe, but Malaysia will be the first country to receive WeChat Pay in our local currency—the ringgit. “Malaysia is actually quite large in the sense that we have 20 million WeChat users, huge potential, and the market is quite warm towards internet products from China,” said senior vice president SY Lau. WeChat might have an advantage in the acquisition of users in Malaysia, but time will tell if this can translate to a lead in the region that sees AliPay operating for about 1 year now. 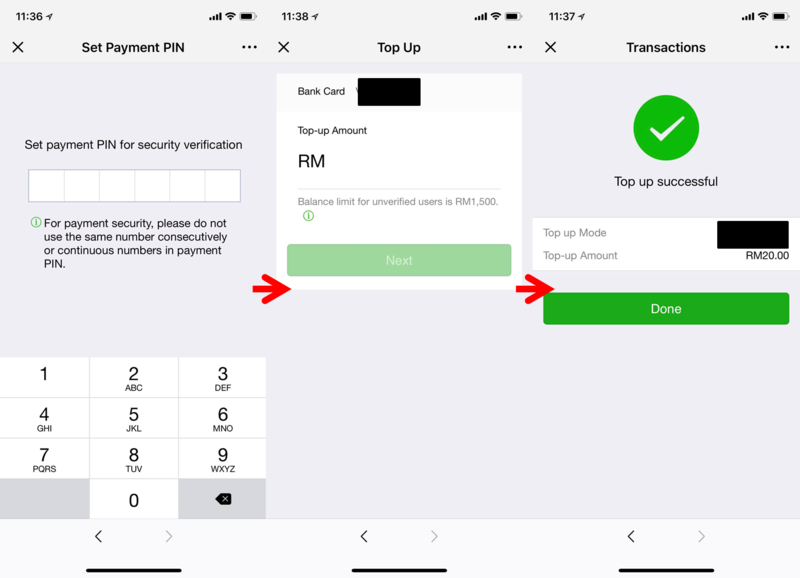 Payment methods that will become available in Malaysia include Quick Pay, where vendors can scan a QR code on a customer’s mobile phone once they’ve made a payment for a quick transaction. Or, users can scan a QR code set up by the vendors to see a product’s information or transaction guides. WeChat also offers options for In-App Payment, where vendors can authorise WeChat to process payments when users make payments through other apps. 2. WeChat Pay Malaysia has been on beta for 2 years now. 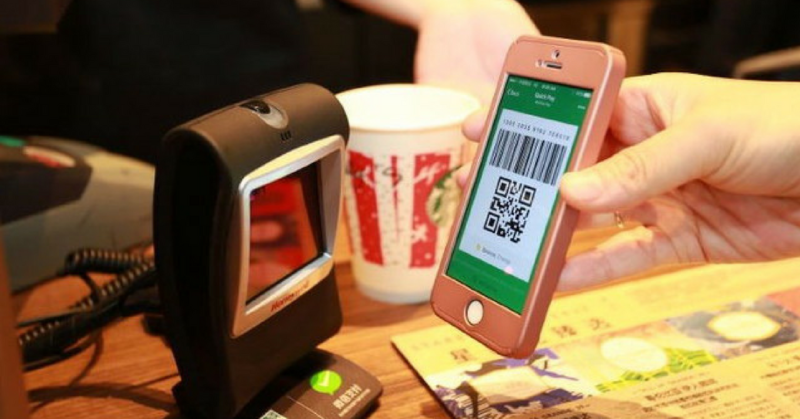 Tencent Group has been beta testing an early run of the ringgit-enabled wallet for two years now, by selecting 10,000 Malaysian WeChat users. Those selected get a dual version of the wallet—one for ringgit and one for RMB, though users at the time weren’t able to transfer currencies from one wallet to the other. That being said, on the user’s side, WeChat Pay should be compatible with any credit or debit card, and WeChat has already enabled foreign credit cards to be tied to WeChat Pay accounts. 3. Local banks are already on WeChat Pay. As early as November 2017, Hong Leong Bank has already enabled merchants to accept payments for WeChat Pay, in anticipation for the wallet’s launch in Malaysia. 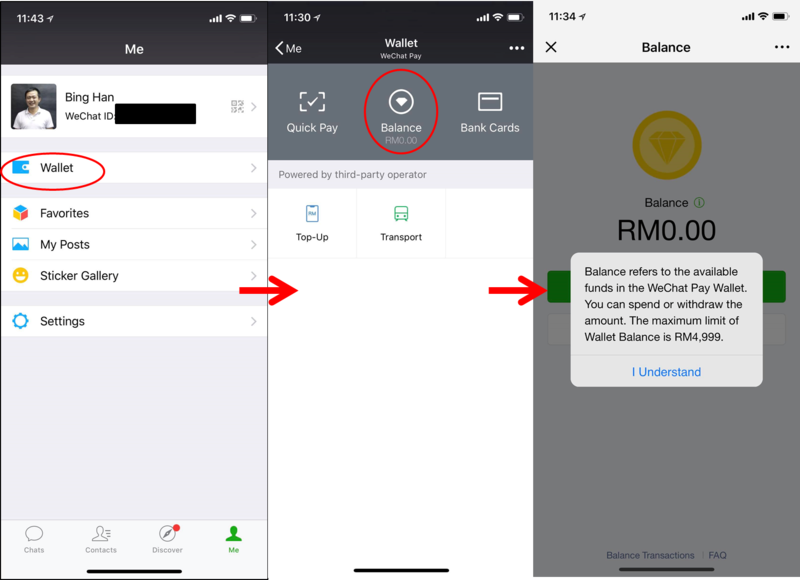 When this collaboration was done, it was to ensure that Chinese tourists can continue using their WeChat accounts while visiting Malaysia, though once WeChat Pay launches for Malaysians, then there will already be a list of merchants that accept the e-wallet from day zero. WeChat Pay’s wallet can be found in the “Me” tab of the normal WeChat app. Topping up the balance is relatively simple. 1. Hit the “Balance” icon in the wallet. 2. Accept the “I understand” popup explaining that the maximum limit is RM4,999. 3. Set up your payment PIN for the e-wallet. 4. Enter your card payment details, and key in the amount. 5. Verify the top up through your bank’s security page. 6. You’ll be able to see your new balance after that’s done. At the moment, it appears that you can only do mobile top-ups or buy bus tickets in the app itself. There will probably be more merchants coming on board in the near future. For more on e-wallets, you can read up about the homegrown e-wallet, BigPay that will apparently “be worth more than AirAsia”.